Sigh, it’s hard to even start this review and it’s hard to be objective. We’re not that far from the last Oscars where Green Book won the Best Picture and all the conversations about stories of race, specifically Blacks and Whites in American history, and then right when things start to get quiet and the world focuses on the Avengers here comes this movie. Best of Enemies, based on a book of the same name, stars Sam Rockwell and Taraji P. Henson and is about the battle between Ann Atwater and C.P. Ellis in Durham, North Carolina. Ellis is the leader of the local KKK and Atwater a civil rights activist. The film starts in 1971 and is about the city’s discourse over integrating public schools. And here is where the issues with this film by Robin Bissell begin, and it’s with the focus. Now if you’ve seen any marketing or even the trailer you’d think this was a movie about Atwater and Ellis and you’d get an understanding of their public battles over integration but that isn’t what we got here. 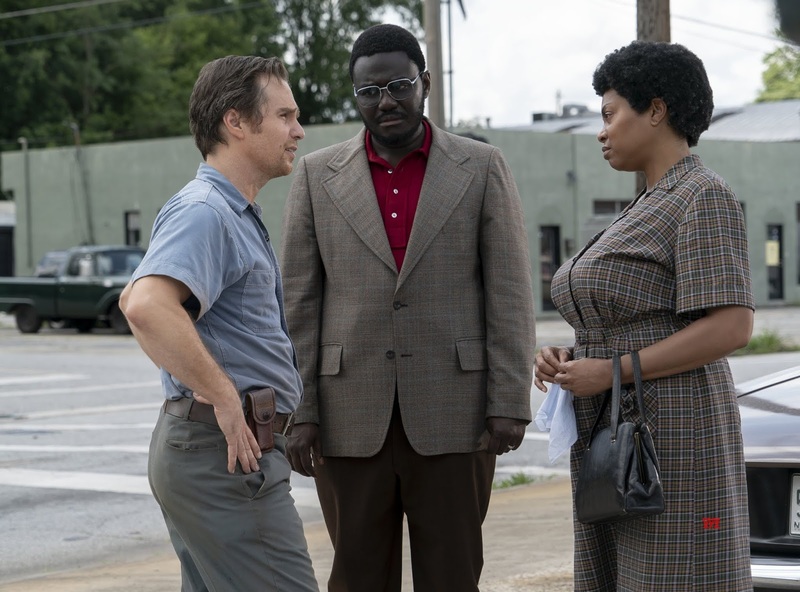 What we got was a character piece for Sam Rockwell as Ellis in which we see how this president of a chapter of the KKK can change his beliefs on race and equality. Now while this sounds like a good idea it feels pretty clueless at this time specifically. To have a film, even one with great performances by great actors, where for seventy percent of the film I learn and see the life and troubles of not just a member of the Ku Klux Klan but a president was troubling to sit through, honestly. It's disheartening the film takes so much time focusing on humanizing him that it shows the blacks folks only as tools to save him and make him a "better" person. It could be a lot easier to deal with if we got at least a little focus or humanity and care with Atwater. She’s just not totally realized. Her family life is briefly shown then moved to the side and just used as a way to show why Atwater cares about the need for school integration, but her kids don't get enough time, either. Henson is given two real chances to shine at showing Atwater's emotion in a way that doesn't involve Ellis, and that's it. This focus really outshines most of everything else and this might mostly do with the time in which it’s released. There is some real care here in terms of the look of the film as well, it’s shot and graded to have a feel and look of a film from the 70s. This film has some great shots and uses of color and I must say the score hits the audience in the right place to manipulate feelings and tension. In the end, I just felt tricked into watching a biopic on a Ku Klux Klan president and that completely rubs me the wrong way.